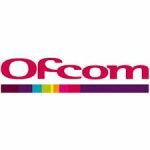 Dr John Oliver, from the Advances in Media Management (AiMM) research cluster has been invited to join one of Ofcom’s Expert Groups. In 2017 Ofcom became the BBC’s first external regulator and have set the regulatory conditions required for the BBC to fulfil its Mission and promote the Public Purposes. Dr Oliver will contribute to the development of measuring the distinctiveness of the BBC (known as Public Purpose 4). Ofcom will monitor the BBC’s performance over the course of the Royal Charter (2017-27) and will produce their first performance report later this year.